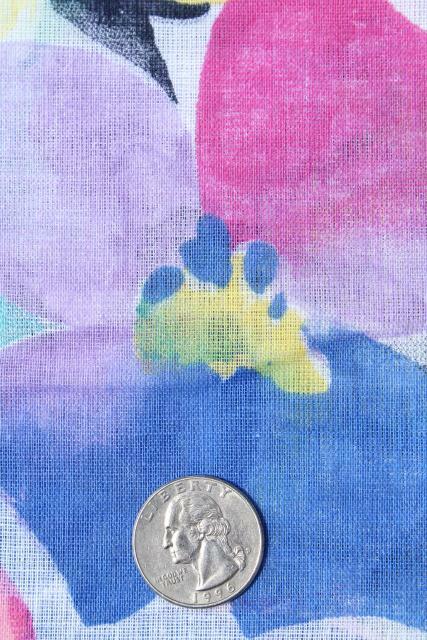 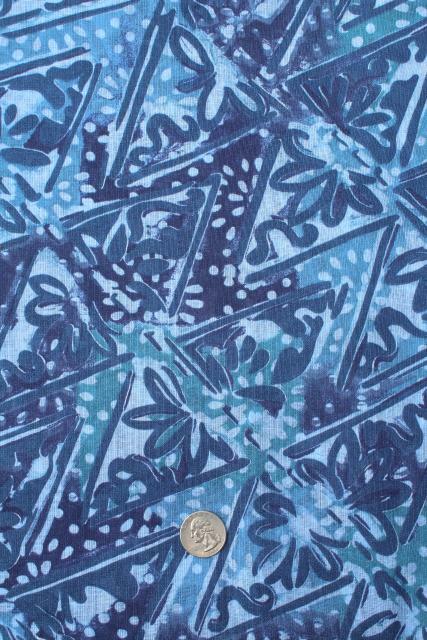 Light weight cotton with open texture like gauze, marked Peter Pan, batik style print 60" wide x 3 yards. 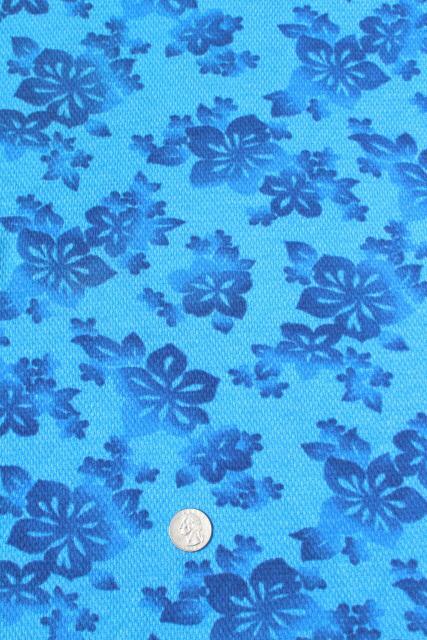 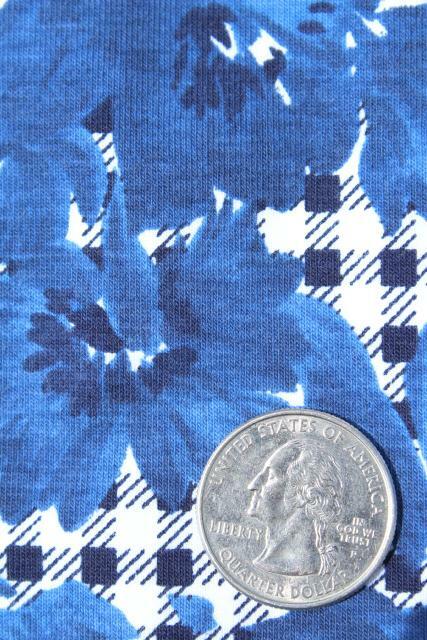 Tropical or Hawaiian print linen weave cotton, 60" x 1 1/2 yards. 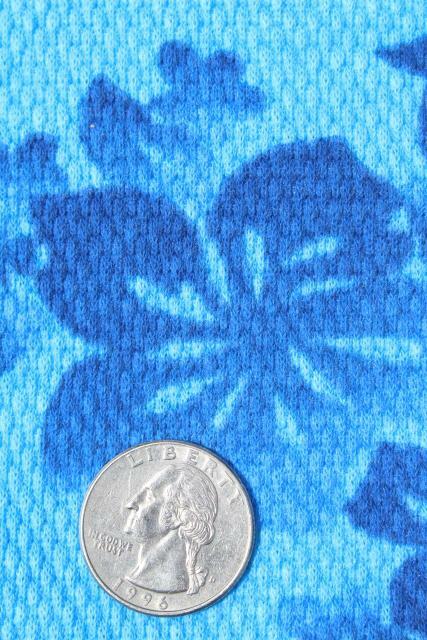 Waffle texture cotton knit, medium weight 66" x 1 yard. 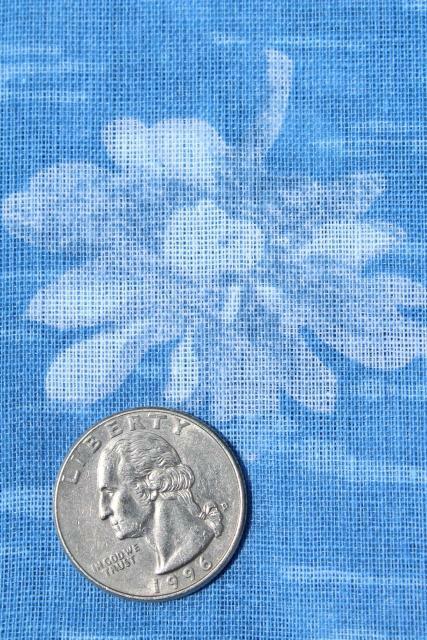 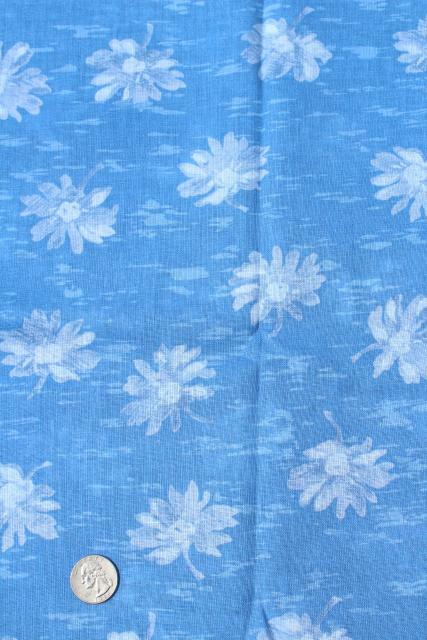 Medium-light gauzy cotton with water lily print, 60" wide x 3 yards. 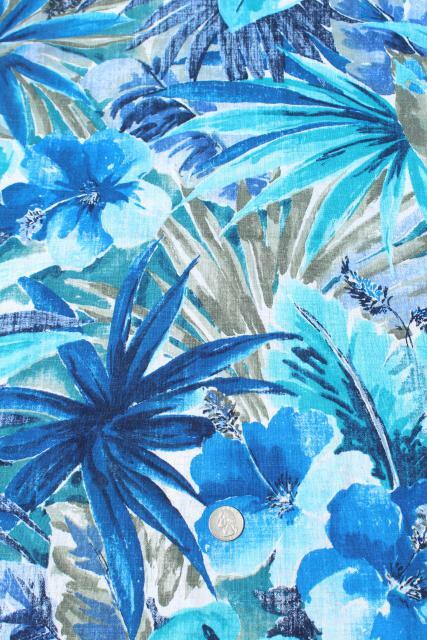 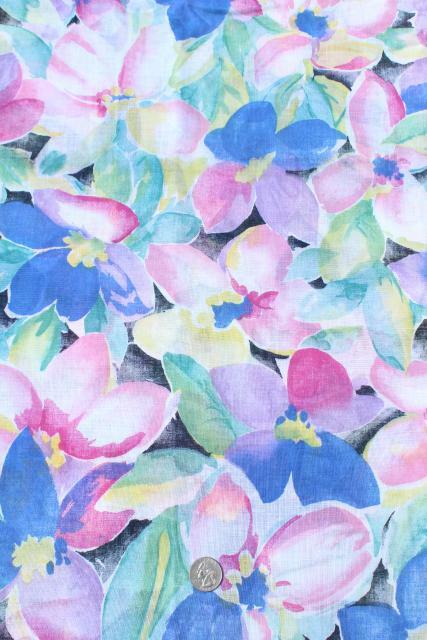 Tropical floral with multi colored flowers, 60" x 4 yards. 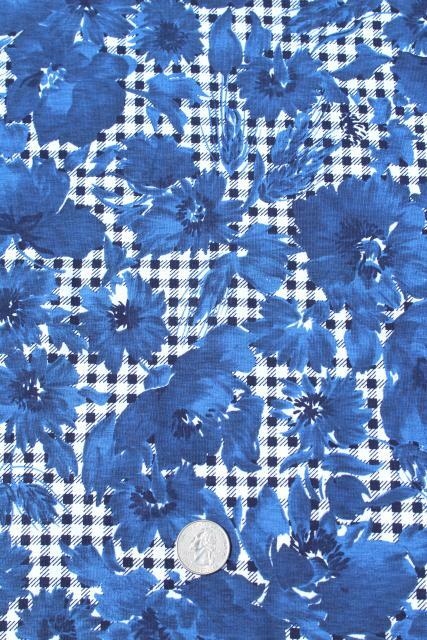 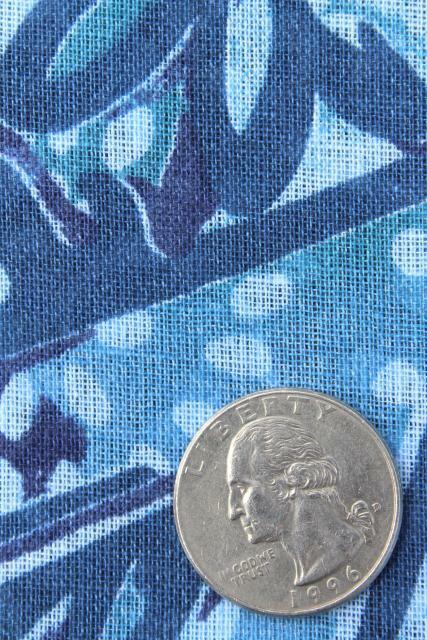 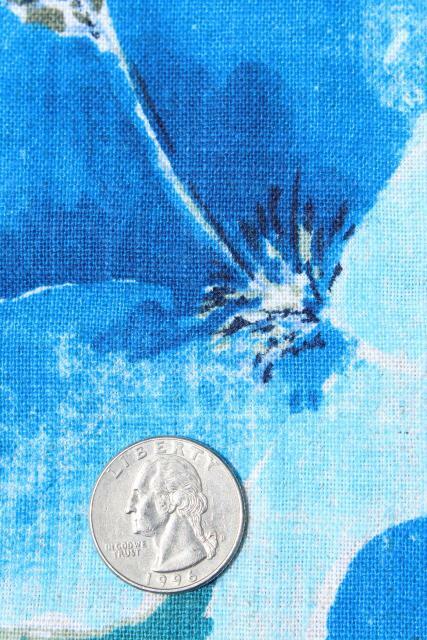 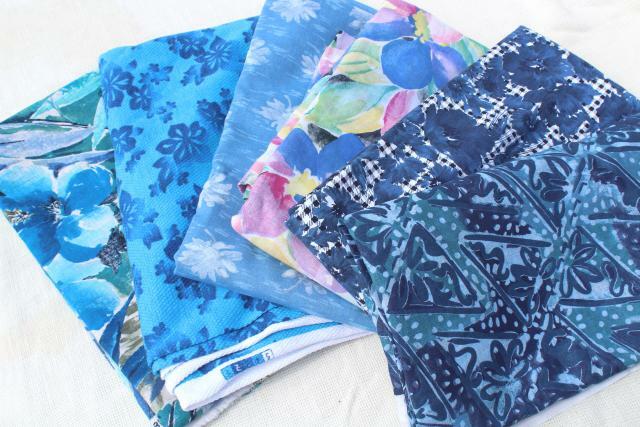 Cotton or cotton blend knit fabric with blues print, 60" x 1 1/2 yards.